Some photography degree students will pursue a career in cinematography, producing motion pictures by managing light, composition, focus, and camera movement to tell a story. Essentially, cinematography is photography with a motion picture camera, rather than a still camera. 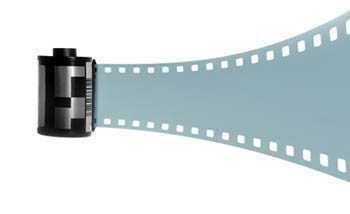 Cinematographers work with camera operators and gaffers to film and create the scene desired by the film director. Cinematographers may be camera operators, or they may be directors of photography for a motion picture. A director of photography has more control and decision-making power. Cinematographers must use both technical and creative skills to achieve the director's vision and must work collaboratively with the lighting crew. Not all photography degree programs include courses in cinematography. Schools that cover this specialty may have a major in cinematography, as well as significant courses and practical opportunities. Cinematography classes in a photography degree program include Introduction to Filmmaking, Basics of Cinematography, Film Lighting, and Digital Cinematography. Students primarily interested in cinematography might consider film or cinematography school, as opposed to photography school. Students with an equal interest in both programs might prefer a photography school with a concentration in cinematography. Cinematographers can network and keep updated on developments in the field through the American Society of Cinematographers and their journal of motion imaging, American Cinematographer. Photography degree students interested in taking pictures under water will need a standard skill set of techniques and good general knowledge. Underwater photographers must obtain additional skills outside a photography degree program, including snorkeling and scuba diving. They must also gain knowledge and skill in camera settings appropriate for underwater work and in underwater lighting. Photographers may have less control in managing the photographic environment and accounting for conditions, but these tools and techniques will help minimize challenging factors. Underwater photography requires some standard camera equipment, as well as specialized equipment, including underwater cameras, camera housing, and underwater video equipment. Specialized underwater photography courses are available through PADI, local workshops, and small schools like the Academy of Underwater Photography and the Jim Church School of Underwater Photography. Underwater photography courses might also be included in degree programs like the course at Florida Keys Community College or at Brooks Institute. A prerequisite for underwater photography coursework is advanced diving skills. Successful underwater photographers might sell their work to magazines or stock houses, contract with scientific ventures, work with zoos and aquariums, or sell their work for its artistic quality. They might also work as cinematographers and directors for underwater film work. Photography degree students may specialize in portrait photography. Portrait photographers focus on representative and artistic records of people and pets. The demand for portrait photographers is high. Consistent requests for school photographs, wedding photographs, graduation pictures, and the like provide steady business. One day may find a photographer at a school commemorating class after class, the next working with a family at their home to produce a brilliant photo for their Christmas card, and the next joining a wedding celebration to capture the love and beauty of the day for history. Portrait photographers may also specialize in professional and political portraits. Photography degree programs specializing in portraiture will teach technical skills in producing images, processing them, and printing. Artistic skills that include professional studio trends, location techniques, and candid shot techniques are taught. Specifically, photography students take courses in studio lighting, portraiture photography, wedding photography, retouching, studio operations, and, depending on the photography degree program, business courses in advertising, marketing, public relations, website design, and personnel. Portrait photographers will also need substantial business and marketing skills to maximize their success. People skills and business skills are particularly important to a photographer working in portraiture. Client relationships lead to recommendations and to more business. Proper hiring and training, as well as effective pricing and marketing, are also critical skills. Fine art photographers can start their careers at a number of quality photography degree programs, notably those offering a bachelor or master of fine arts photography degree. Fine art photographers create images as an art form, images that express their creative vision, as opposed to images that record, teach, or advertise. Specialization in fine art photography requires technical mastery and conceptual insight. Students have an opportunity to explore styles and techniques to tune their own artistic vision. Early coursework for fine art photography degree programs includes Drawing and Painting, Art History, History of Photography, and Perspectives in World Art. Further courses include Studio and Light, Storytelling and Photography, Contemporary Art, and Design Studies. Fine art specialists will study many art forms through the ages, not just photography. Master of fine arts photography degree students will spend a lot of time in the studio, take Practical Criticism, develop their theses, and do internships to hone their craft. Thesis work is often presented as a gallery exhibition. Fine art photographers display and sell their work in galleries. Some may have their work chosen by museums for display. Fine art photography has commercial applications as well, including some advertising and magazine art, and overlaps with fashion photography. Travel photographers specialize in place photography, photography related to travel and adventure. A photography degree program that specializes in travel photography will include courses to develop technical skills in creating, printing, and producing photographs, as well as skills particular to location photography. Photography degree students will also learn to market themselves and their travel photography. Most photography degree programs will not have a specific specialty in travel photography, but have related concentrations that offer skills needed for travel photography. Many schools offer a photojournalism specialization, while others offer media photography. Relevant coursework for travel work includes Survey of Western Art and Architecture, History and Aesthetics of Photography, Photo for News Media, Professional Writing for Photojournalism, Photo as Narrative, and Portfolio Development. Photography degree students interested in travel photography should carefully select a program offering relevant coursework. Aspiring travel photographers should also consider each photography program’s list of available internships to check the likelihood of matching for practical experience in this specialty. This specialty will appeal to photographers interested in traveling and working with architecture, landscape, and people. A tolerance and appreciation for different places and cultures is important. Travel photographers might be employed by magazine and book companies or might freelance. Many photography degree students choose a career in commercial photography. Commercial photographers concentrate on advertising photography, catalog images, and website images. Within the field of commercial photography, further specialization in stock photography, architectural photography, industrial and scientific photography, or catalog photography is possible. Experienced commercial photographers may also choose a career as a photo editor. Photography degree programs help prepare commercial photographers to market themselves with a portfolio and a business and marketing plan. Commercial photography is a common concentration within a photography degree program. In this discipline, students study Advertising and Commercial Photography, Editorial and Corporate Photography, Creating Digital Presentations, Visual Communication, Advertising Principles, and Photo Illustration, as well as broad class work and laboratory or studio experience. Students have the opportunity to build a portfolio oriented toward a career in commercial and product photography. Due to the prevalence of commercial specialization within a photography degree program, students should expect instructors to have personal experience and success in this discipline. School applicants should also consider their desire for further specialization, as some photography schools offer programs in scientific photography or in architectural photography. The Rochester Institute of Technology, for instance, offers a specialized program in Biomedical Photographic Communications.